Lamb is the predominate meat in the Middle East. 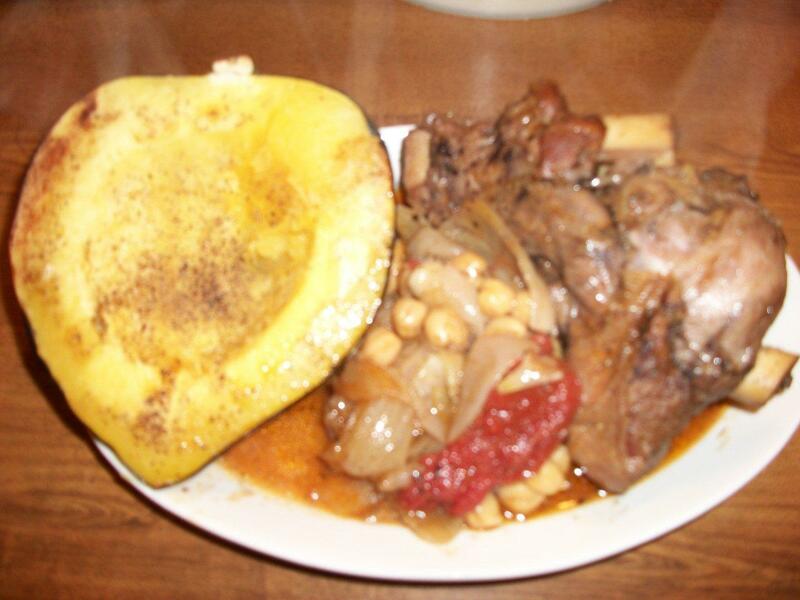 Braised cooking makes for a flavorful and very tender meat dish with a hint of mysterious flavors from lands beyond the ends of the Mediterranean Sea. In heavy Dutch oven (cast iron works best) heat olive oil, while heating salt and pepper the shanks. When oil is hot add shanks and brown on all sides. After shanks have been browned add the minced garlic and sliced onions and spices stir and cook for about 3-5 minutes. Add the tomatoes and enough hot water to just cover the shanks. Cover and put in pre heated 450 oven for approximately 2 hours, add chick peas at 1 ½hours into cooking, add more water to keep covered. Remove from oven (be careful pan will be extremely hot) and place shanks on serving platter or individual plates. 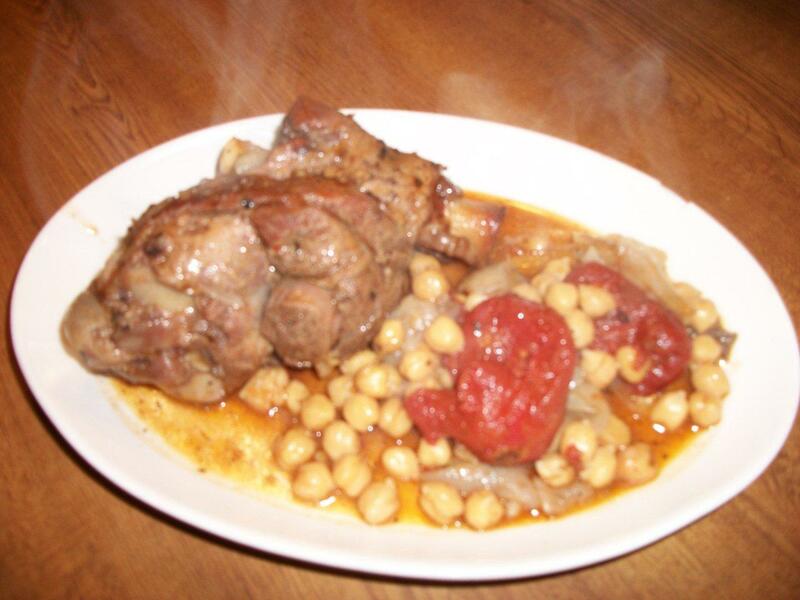 Spoon some sauce and chick peas around shanks. My family loves the left over sauce and chick peas the following day, warmed and served as a thick soup with flat bread. Variations: you can add baby carrots, potatoes to the sauce in place of the chick peas or a larger can of tomatoes if desired.